Trainer James Tate has revealed results of tests taken on horses at his yard for equine flu have come back negative from the Animal Health Trust. The Newmarket handler was one of a number across the town who had their horses tested after having a runner at the same meeting as one from the yard of Donald McCain, who has had three vaccinated horses test positive for the highly-contagious virus. 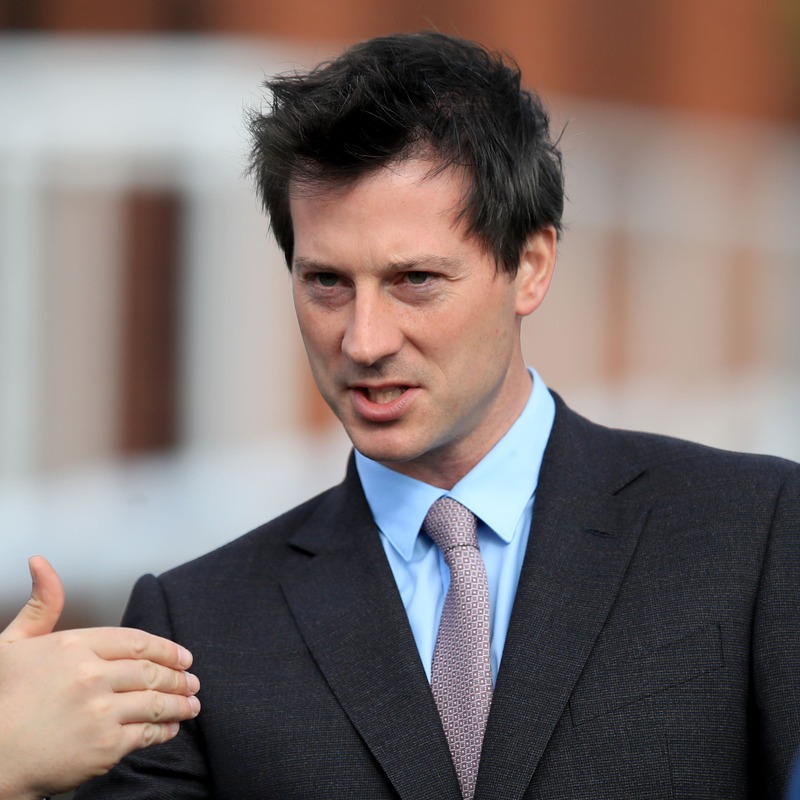 Tate, who ran Solar Park on Monday at Wolverhampton – where McCain saddled Dark Confidant – told Press Association Sport: “We’ve had our results back and we are all clear, which is a relief. “We tried to get on top of the pile by getting the troops mobilised and getting the samples to the Animal Health Trust as quickly as possible. “I was hoping to get them back last night – and I drive down there, but the gates were shut. So I was back at 8am this morning and was told they were all clear, which is good from my point of view – and for racing. While Tate – a qualified vet – has received his results, he believes the chances of racing resuming in Britain on Wednesday depend on how swiftly test results from other yards come back. He added: “The Animal Health Trust is doing a great job working through the night to keep on top of it, but it depends if it can cope with the volume of samples between now and Monday. Fellow trainer John Berry – a former mayor of Newmarket – was hoping he would find out results of the tests on his string by the end of Friday. Berry – who was not allowed to use the town’s gallops until 12.30 on Friday – had his horses tested after running The Rocket Park at Ludlow on Wednesday, where McCain ran Dry Lightning. Berry said: “In our case it’s as close to a non event as you can get, as I’ve so few runners in the winter and it is generally off season for us. “I didn’t have any entries over the next few days and I think we will only have the one day when we are separated from the general herd. “The tests have been done on every horse in the yard on the premises this morning, including three retired ones and a young unbroken horse. “The tests may take a little bit longer than normal with so many horses being tested, as normally you can drop them off at the Animal Health Trust and by 5pm have the results, but hopefully we will find out later. “If everything comes back negative, which I’m pretty optimistic they will, then the restrictions (on his string using the gallops) will be lifted by tomorrow. “We are only going to take four horses to canter over to Long Hill and give the others the day off and have them in the paddocks. Marco Botti, another Newmarket trainer, had his yard tested after sending runners to Wolverhampton on Monday, and like Tate decided to keep his work in house. Botti said: “We had all the swabs taken and we are just waiting for the results. “I’m hopeful we will get the green light and it will be business as usual. The horses that have been running well have run to their merits and look healthy. I’m quite hopeful we will be fine.